3.8 acres of beautiful riverfront property with modern cabina, huge pool, and lots of room to build! : Amazing investment potential! This property is a fantastic opportunity! 3.8 acres of beautiful riverfront property, nestled in the jungle but with tons of buildable space! The 1-bedroom, 900 square-foot cabina overlooks the large brand new pool and is full of tasteful modern finishes, including custom cabinets, a rain shower, and artistic wrought iron work. The huge covered patio beckons you to relax and enjoy the beautiful views of the property, gentle breezes, and soothing sounds of the river that runs along the edge of the property in the distance. 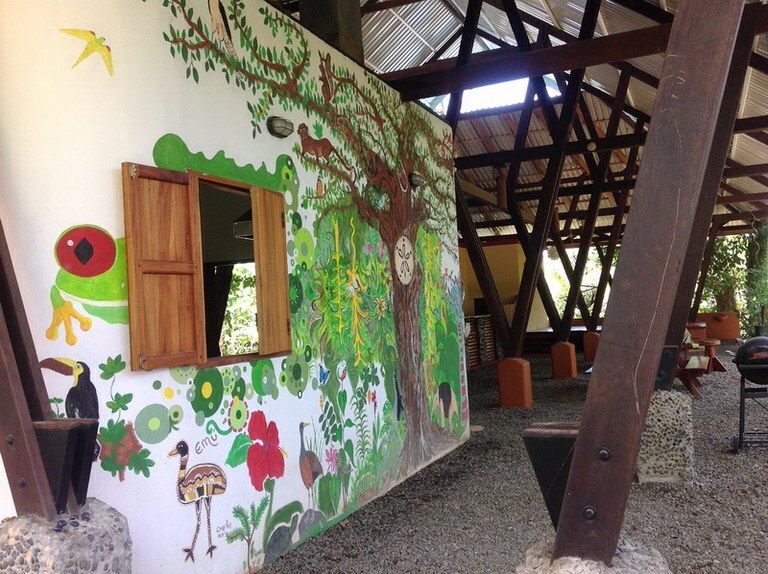 Keep an eye out for the monkeys and toucans that visit regularly! This amazing opportunity is located in one of the fastest growing and most desired communities in the southern zone of Costa Rica. As a former restaurant and bar, this property earned notoriety as "the place" to go for live music and traditional, healthy food. 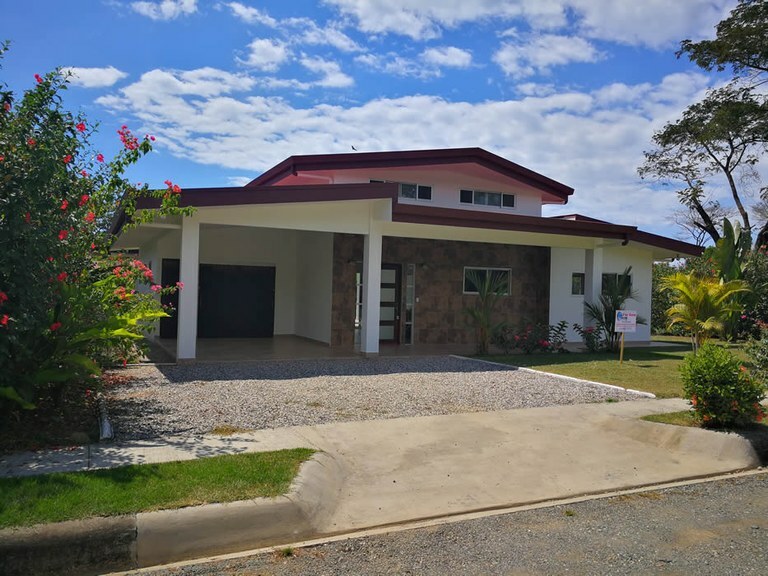 Spread over a nicely laid out, flat and usable lot, there is plenty of room to expand on the organic and tropical cabina, and the perfectly designed main building which offers 2 bedrooms and a commercial kitchen. The open air entertainment area includes a large stage, a long bar, and plenty of room for dancing and dining. Impeccable, Incredible, Imagine it Yours! 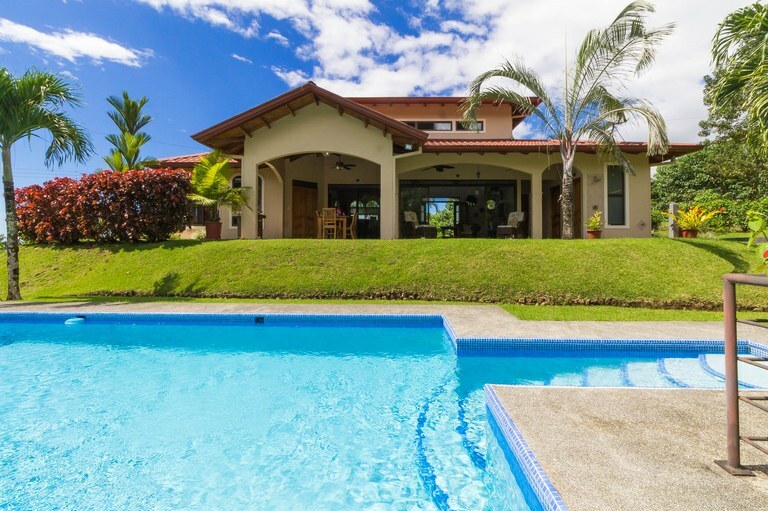 This beautiful home sits in the mountains overlooking the Whales Tail and Uvita. You enter a stone arched gate and up the paver driveway to the house. Welcoming you is a view that is incredible. The house has been well maintained and defies you to find any blemishes at all. The house throughout has teak wood ceilings and stairways and so much room for you and your guests. A large well appointed kitchen with a large dining room that opens on to the landscaped yard. 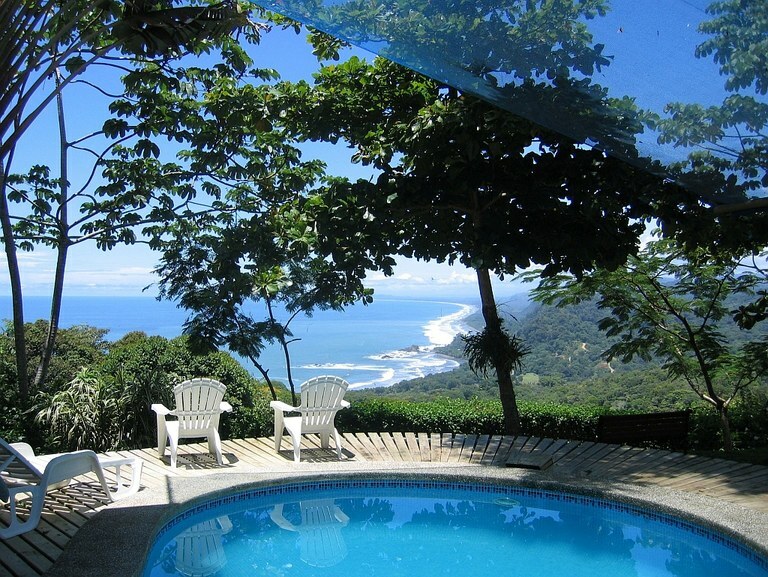 Gorgeous ocean and jungle views overlooking Playa Tortuga in Ojochal! 4 bed, 3 bath, plus huge pool! This beautiful 4-bedroom, 3-bathroom, 3200-square-foot home is situated on over three acres in a quiet area above Ojochal, overlooking the pristine Playa Tortuga. 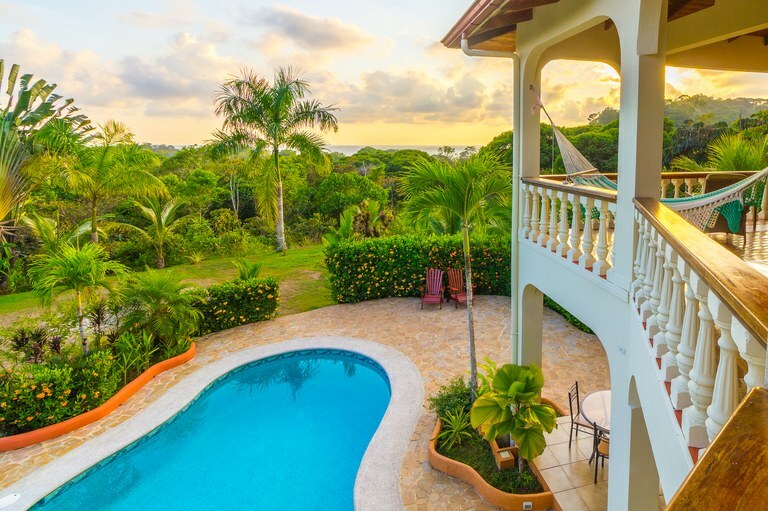 You will be amazed at the panoramic ocean and jungle views from the large second-floor patio off the spacious master bedroom. Incredible sunset views over the Pacific! Need to relax? Take a break and enjoy the spa-like luxury of the oversized bathtub in the master bathroom. The two comfortable bedrooms on the main floor have French doors that open directly onto the patio, just steps away from the pool! The open-concept kitchen and dining area has everything you need to prepare and enjoy your family meals together, and flows seamlessly out onto huge patio, which provides the perfect area for entertaining! The huge pool is just off the patio, and the area is all beautifully landscaped, creating a tranquil oasis where you can just relax and enjoy the pura vida lifestyle! Enjoy the sounds of toucans and monkeys as your lie in your hammock, and keep an eye out for parrots and sloths in the trees! Nearby Playa Tortuga ("Turtle Beach") is a famous turtle nesting beach, where you can see baby sea turtles released into the ocean at the local reserve and see scarlet macaws. And, of course, it is part of the Costa Ballena region (the "Whale Coast"), which earns its name from the large groups of humpback whales who come to the area throughout the year to raise their babies in its warm Pacific waters! Known as the "culinary capital of Costa Rica," Ojochal is home to many wonderful restaurants, live music, and events. And being located just 10 minutes south of Uvita, everything you need is close and convenient! And there are endless adventures all around - beaches, surfing, jungle hikes, ATV tours, ziplining, paragliding, waterfalls, swimming holes, whale watching, snorkeling, scuba diving, you name it! This warm and welcoming community has many helpful expats from all over the world, in addition to wonderful and friendly locals! A truly unique and wonderful area to call home! This home has it all! 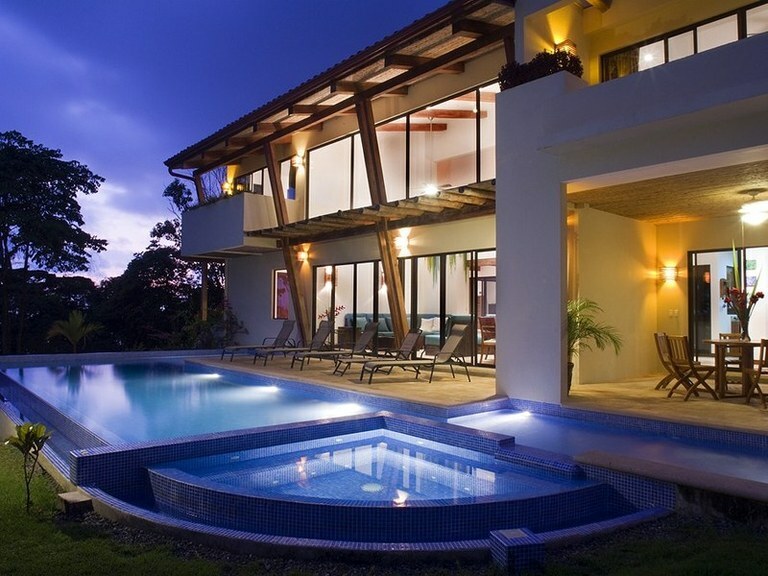 Contact us to see this amazing property today and start living your Costa Rica dream! You won't find many opportunities like this in Costa Rica's southern pacific zone. Generally properties of this caliber are quiet sales. So, besides its world-class, stellar ocean view, one of the vital amenities of Pacific Edge is its current "Available" status. Sure to be short-lived. Here are the bones: more than 6 acres of land. 4 very comfortable rental cabinas. The main house (where you would live) is 2 stories and nicely appointed. Nearby is a rancho providing shaded and breezy sitting areas for guests. Or, they may choose to lounge alongside the pool while soaking in the amazing view. Additionally, there is a large building site below the cabins should you wish to expand. The sellers were very selective as they rode on horseback, touring the coastal mountain range in the early '90's looking for "the" property. They had their pick of properties at that time as they pre-date most of the current residents in the area. View was a primary driving force and so they selected what is now known as Pacific Edge. Heck, even the road leading to the property is called the Pacific Edge Road in Google Maps. So, we are pleased and honored to be able to present (for the moment) Pacific Edge for sale. Financials provided upon serious inquiry. Hotel Villas Alturas: Best Views In The Region! 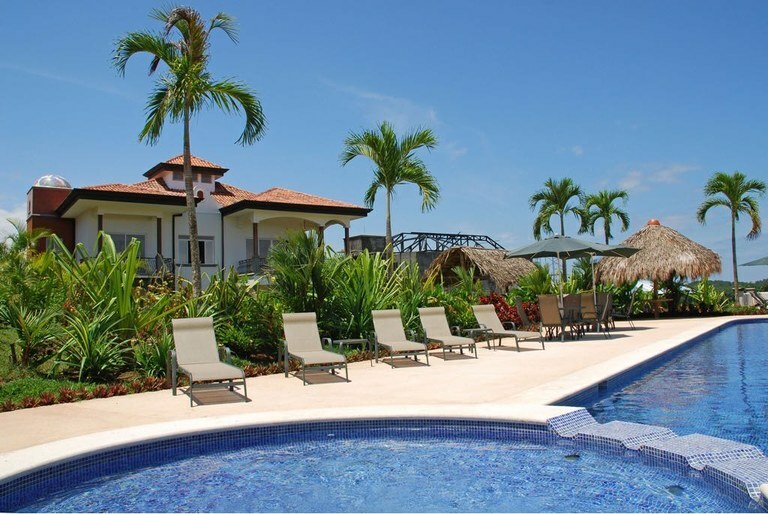 Villas Alturas is a destination for those who appreciate the best in life. The best views, the best climate, and the best accomodations. The 7 Villas and 1 suite are spacious and accommodating, and the newly renovated restaurant and bar are exotic and moving, but it is the dramatic and awe-inspiring ocean views that will leave you speechless! Each villa is fully equipped with kitchens, modern amenities, and are tastefully appointed with comfortable furnishings. The pool side restaurant and bar were completely renovated and reappointed in 2018, and is known to be one of the most elegant and inviting spaces in the area. The stunning and lush jungle surroundings make you feel like you are living in harmony with the abundant wildlife and monkeys, as you float above the Pacific and enjoy the tranquil surroundings in this incomparable 2 acre resort style retreat. Perched at approx 900 feet of elevation, the white water views of the warm Pacific Ocean stretch from the Osa Peninsula to the coast line of Manuel Antonio. 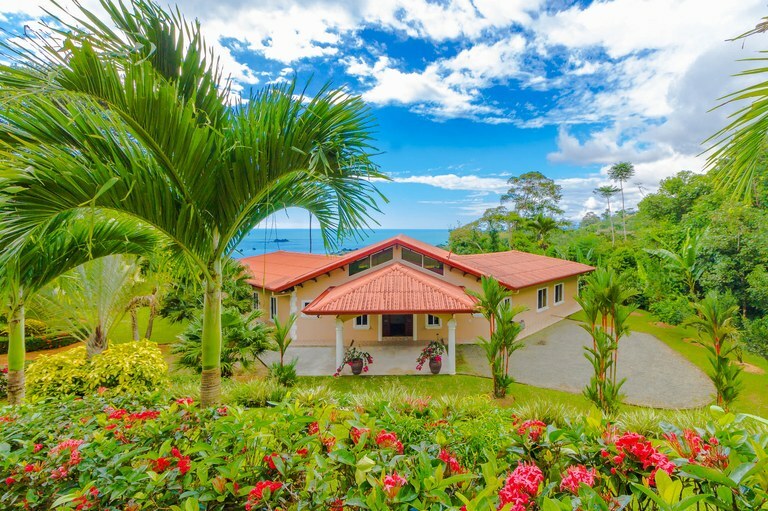 Designed for those who are looking to experience all of what Costa Rica has to offer, without sacrificing luxury and comfort, Villas Alturas is the absolute best choice for the discerning buyer. There are 4 two-bedroom villas, 3 one-bedroom villas, and 1 suit, which can open up to Villa 1 to create a 3 bedroom 2 bath escape. The many updates include new roofs in 2015, pool renovations in 2015, solar installation in 2015, which offsets the operation costs and helps to protect the environment, and a complete kitchen, restaurant and bar renovations in 2017/2018. This dreamy escape is located adjacent to, and within walking distance, of the Alturas Wildlife Sanctuary (not included in this sale). Here you will be able to experience a rich variety of the amazing wildlife Costa Rica has to offer. The Alturas Wildlife Sanctuary is a non-profit organization and every person that steps through their doors is helping rescue, feed, give necessary veterinary care, and so much more. Alturas Wildlife Sanctuary have new habitats for over 75 animals that are cared for by the professional staff and a host of volunteers! The type and number of animals hosted at the sanctuary is constantly fluctuating and you will discover different animals from month to month. Contact us today to arrange your personal tour of Villas Alturas, and let us help you realize your dreams. 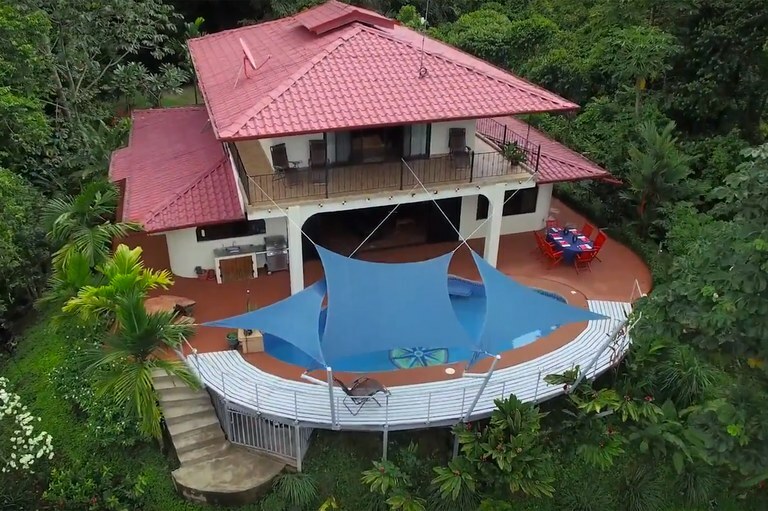 This is one of the finest homes on the market in Uvita proper. The original owners were early settlers to the area, when all property here was available. They chose this spot for its stellar proximity to Uvita's conveniences while still being tucked into Costa Rica's serene, natural surroundings. There is South-East Asia influence due to the owners having lived for years in Thailand prior to their Costa Rica chapter. This is seen in the design touches, such as the hand-carved, solid wood doors and the overall architecture. But it is nowhere more apparent than in the open-air design. The pool comes into the living room. The only enclosed areas are the bedrooms, bathrooms and storage areas. The living room, dining room, kitchen and breakfast bar are all, open-air. There are 5 bedrooms on the property. The main house has the master, en suite. Over the 2 car garage is a deck with 2 bedrooms with a jack & Jill bathroom. There is also a 1 bedroom rental villa. This also has a tranquil setting for outdoor lounging in the serenity of the setting. Finally, there is a detached cabina for the 24/7 caretakers. You drive onto the property through the decorative iron gate. The entry drive is brick pavers. There is room for a couple of cars to park or you can pull into the 2 car garage. From there you walk into welcoming entry portal to the house. There is no front door. To the left of the entry is a 1/2 bath that is accessed from outside. Passing through the entry, you have an intimate entertainment area to your right, dining area a little further in on your left, a comfortable living-room space further in on your right, with the kitchen and breakfast bar at the far end. Just to the right of the kitchen are the heavy hand-carved doors that are the entry to the master bedroom, complete with walk-in closet. The kitchen has abundant cabinetry, new appliances and a walk-in pantry. Keep in mind that this is all open-air with the exception of the pantry, bathrooms and bedroom. To the right is open out to the pool which also has an outdoor sitting area under a Balinese style roof. Walk around the coralina-surround pool and you'll get to an elevated deck that is built around a tree. The ocean view from this deck is inspiring and lends to introspective conversation in the intimate setting. Ok, that is the main house. Let's visit the rental or guest villa. Walk out onto the pool deck and turn left. Here I should mention that the past nearly 2 decades of care of the grounds has been managed by a local elderly gentleman who is a specialist of heliconias, the family of the famous Bird of Paradise plant. The grounds are rife with an diverse variety of his passion. You'll walk along a garden path and then up the stairs to the deck, complete with wrap-around bench sitting area and an excellent location for an umbrella'd dining table and barbecue area. Enter the villa into the living room, then the kitchen. The bedroom and bathroom are to the left. Again, nicely appointed with complementary decor. The original owners would rent the villa out for supplemental income. Back to the entry - over the garage are 2 bedrooms. The stairs that lead up to the deck and living space is about 5 steps from the main house. So it is a stretch to say that the house is 3 bedrooms, but it almost is. There is a little sky between them. The deck is spacious enough for the guests staying there to enjoy their morning coffee or evening sunset. Then there is the caretaker's unit that has happily housed long-term caretakers for many years. The caretakers are 24/7, providing on-site property maintenance and security. The sellers are the heirs of the original owners. So the property has essentially had just one owner for it's lifetime. This is a rare find in the Uvita marketplace due to its unique and appealing design, as well as its nearness to the conveniences of Uvita. You are in the heart of one of the most vibrant tourism areas of Costa Rica without feeling like you are. You are in your own private retreat from the hustle and bustle of the world, and elegantly so. Situated at the end of the road in the Exclusive Big Sur community and just above the stunning beaches of Playa Hermosa and a few secret spots. This 1.74 acre of prime ocean view land is waiting for the right buyer to build a private estate. 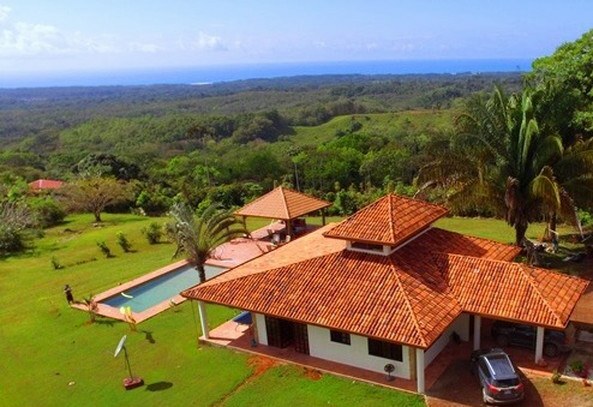 The configuration of this land on the mountain exposes all of it to the gentle breezes and the expansive views of the southern coast line including the famous Uvita Whales Tail. There is a large buildable area and bordering both sides of the property are two of the Southern Zones most highest priced luxury estates. Location is everything on this parcel and having good neighbors is key to adding value for a new owner. The property is located just minutes from the ocean, waterfalls, downtown Playa Uvita, Playa Dominical, and its unobstructed views of the southern Ballena coastline boast year around amazing water and reefs views that make this one of the best 180 degree views in the souther zone. 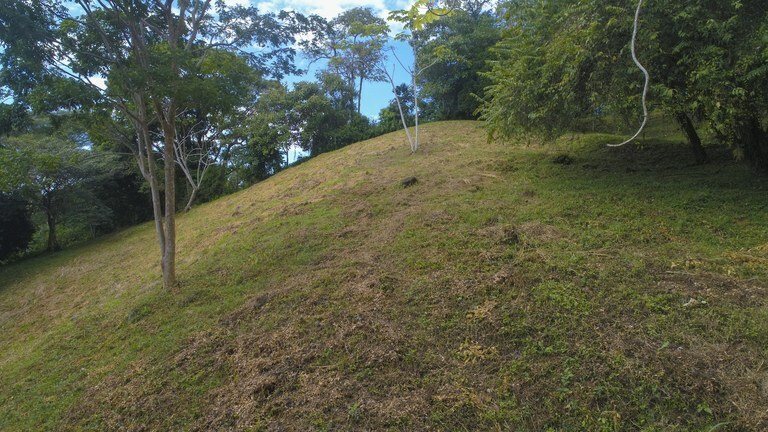 With just a bit over an acre of land this property is perfectly situated in the hills of Playa Dominical within a development area called Las Terraces. This land parcel offers a huge level building pad that is perfect for a rental home or a full time residence. This large home site offers easy access, great views, and all the amenities such as water and electricity are to site making it a ready to build property. 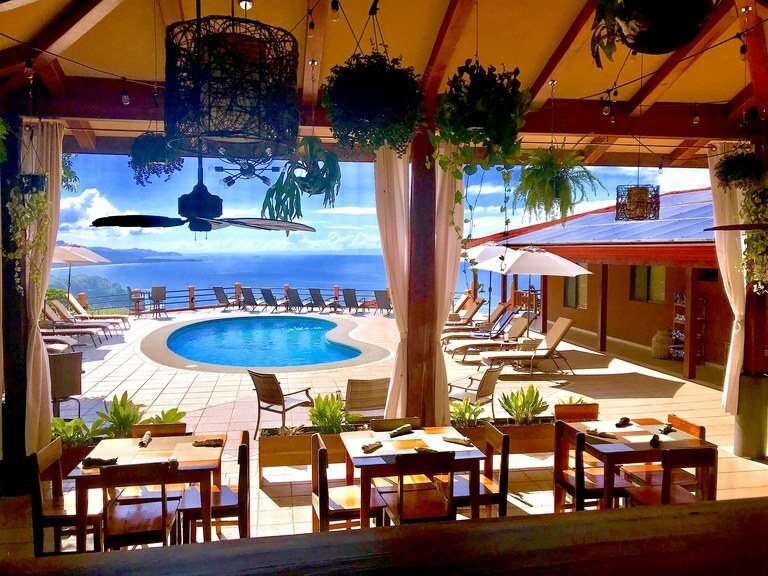 The ocean views from this property stretch from the north to south providing amazing year around sunsets from one angle and stunning views of the famous Uvita, whales tail reef that changes daily with tides. Its proximity to gorgeous tropical beaches, surfing, local shops, and local eateries makes this property a perfect choice. 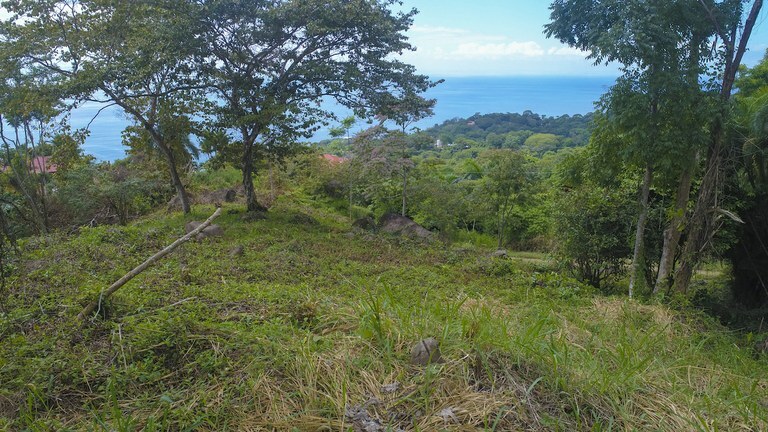 Many other properties within this development are selling at much higher price so this is a great opportunity to grab a great sunset, ocean view, building site along this amazing southern Costa Rica coastline. The sellers are ready and cooperative to make a deal today. 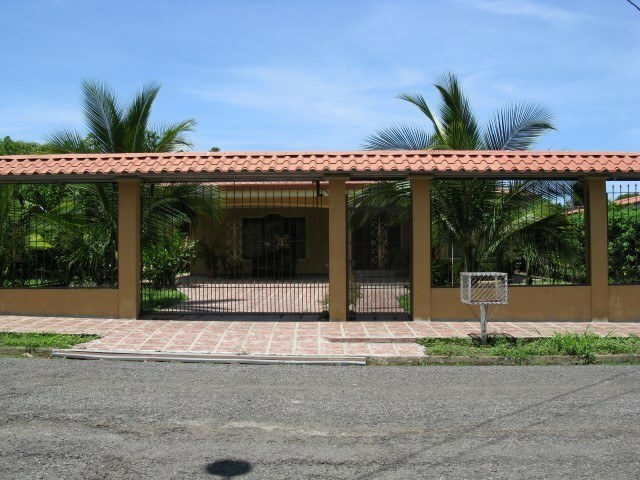 Miami Style Single Family 4BD's, 2BA's in Exclusive Neighborhood "La Riviera"
Beautiful Miami Style Single Family house, located in an Exclusive Neighborhood "La Riviera," Esparza, Puntarenas. 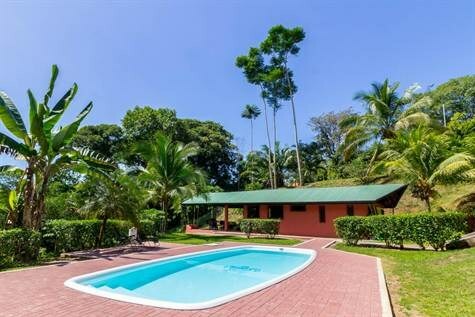 1 min from Inter-American Hwy,15 min from Caldera Port and beach and 20 min from Puntarenas City. 2,300 sq ft all built in concrete. 4 Large Bedrooms, 2 Full bathrooms, garage for 1 or 2 vehicles, Formal living Room, Recreational Room, Large kitchen with appliances. Large laundry with washer and dryer. Two front and back porches; 1 storage shed and a good size yard. Includes a large water tank for water storage, but the property receives city water and the pressure is excellent. Ready-Move-In Condition. Turnkey Furnished Home With a Clean and Modern Design! This two-story home features a layout that is ideal entertaining. From the parking area, you enter the home’s living room which flows to the outdoor patio area, kitchen and dining room, downstairs bedroom, and a full bathroom. The home has large windows and sliding glass doors, giving it an open feel of the fascinating external views. The spacious kitchen is luxuriously equipped with an gas stove top-that makes cooking and other kitchen work easy. There is also ultra-modern kitchen equipment like wall mounted oven and microwave, ample counter space, and wooden cabinetry. Each of the downstairs rooms has doors that provide direct access to the tropical pool lounge area for relaxing on sunny days and catching the amazing white ocean sights and aqua-life. Located in Ojochal, with easy access and privacy. The cabinas on the property offer individual rooms each equipped with their own bathroom/shower, mini fridge and closet setup. Each room has AC and overhead fans. On the balcony is a stove top and a sink for cooking and cleaning. The balcony site is perched over the side of the hill giving you a nice elevated view of the jungle canopy and allowing for consistent breezes. Consisting of little under 1 acre, this property has a lot of potential. The cabinas are located in the back corner of the building plantel leaving plenty of room for additional structures. On the opposite side of the cabinas the plantel faces into the jungle. As you look into the jungle, the land slopes rapidly leading down to a creak. Here you will find an abundance of native plant and animal life. This corridor of old growth trees around the river draws monkeys, toucan, wild pigs, jungle cats and much more. Ideally, you'd build another cabina hanging off the other side of the plantel looking into the jungle down to the river and back at the mountains. The property is located on a dirt road across from the Grupo Materiales hardware store. From the cabinas you are within close proximity to a restaurant at the Look Out Hotel, a liquor store, grocery store and a hardware store. Located on a public road, you may use the property for a commercial or residential venture. 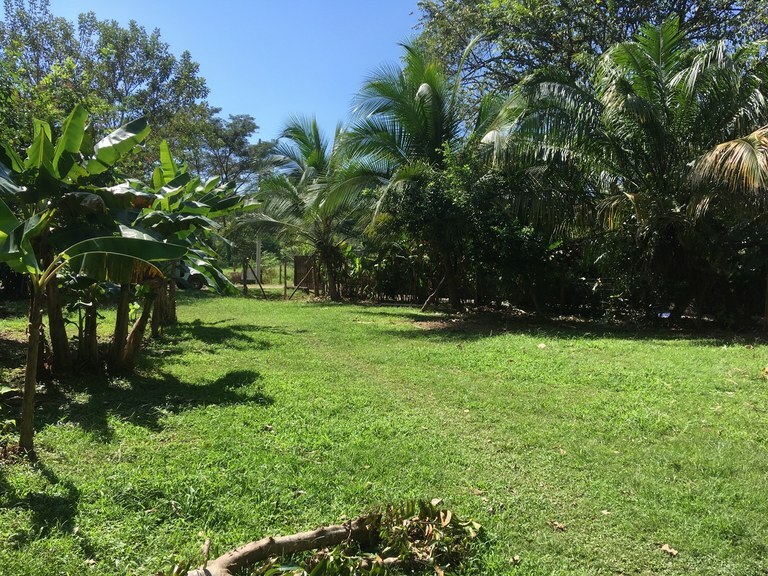 A fully titled pie-shaped lot in Bahia/Uvita for this price and location will be hard to duplicate. Priced to sell quickly, this property is at the end of the street giving you privacy and keeping you within walking distance to the beach! 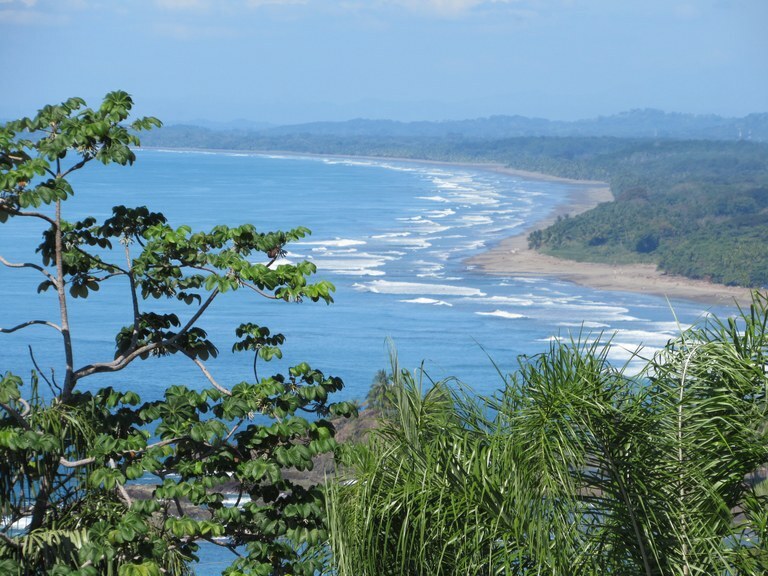 Enough room for a generous sized house and pool, or build some cabinas and pool and take advantage of the popular tourist location - the Marino Ballena National Park with the famed “Whales Tail.” Bahia, a small suburb of Uvita at the waters edge offers shopping and great dining. Grocery stores are a short distance away, as well as doctors, pharmacies and many great restaurants. Beach access like this is becoming very popular, so this lot will not last long. 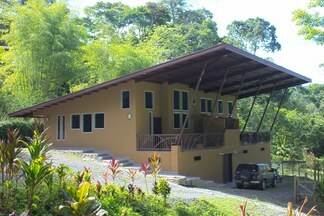 10+ acres, 4-bedroom, bordered by rainforest reserve, white water ocean views, private waterfall! :Rainforest Preserve! 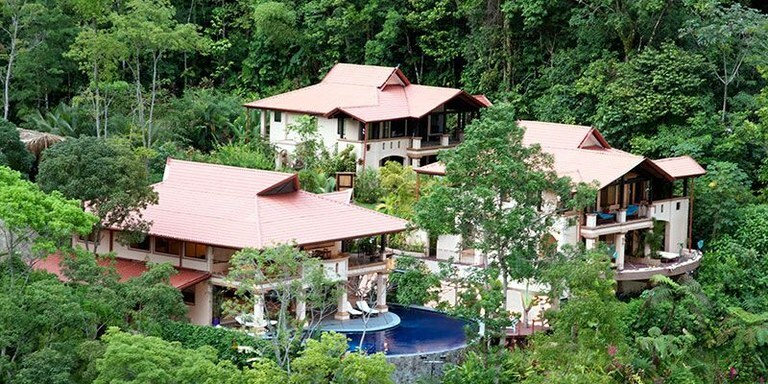 A Seductive Spin on Tropical Living Enjoy the serenity of Costa Rica’s warm climate in low-key luxury. This tropical modern home combines the clean lines and muted color palette of contemporary design with exotic woods and stones native to this region. Modern, clean lines create a blank canvas through which to experience the exhilaration of nature’s wonders. Take in the breathtakingly expansive view as you set foot through the door of this mountain top home, which expertly frames the San Buenas river valley below. The functional design of the kitchen makes cooking a pleasure, especially when taking brief pauses to gaze out at your private pool scanning the bright blue horizon of the Pacific Ocean. Three spacious master king suites are accentuated with simple yet extravagant comfort and a diversity of vistas that include mountains, the ocean, and the surrounding whimsical community of Chontales. Driving up to this home is a pleasure of the senses, where fresh mountain breezes and shining blue skies meet the lushness of the jungle, all of which can be more intimately enjoyed from the lookout lounging area. Classic, elegant furnishings and finishes are found throughout this home, which compliment the surroundings and will stand the test of time in this sometimes challenging tropical environment. High speed internet and multiple Smart TVs perfect the experience of life in this location, making it easy to stay connected in this high-quality retreat. 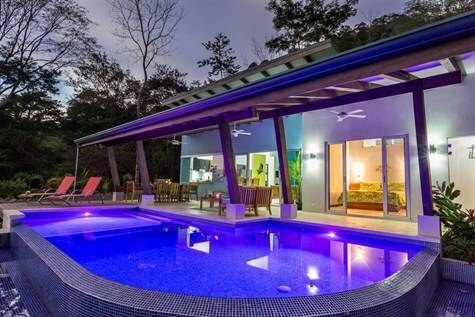 An unparalleled example of modern luxury in Costa Rica’s Southern Zone built with a passion for the exquisite and transformative surroundings. Stunning ocean views above Ojochal! Custom 3-bedroom plus 2-bedroom cabina, gorgeous infinity pool: Gorgeous ocean views and unbelievable sunsets! This is the ocean view you've been dreaming of! Relax in the beautiful infinity pool while enjoying the expansive view of the Pacific Ocean in the distance and the jungle valley below you. You'll never tire of the vivid colors of the sunsets here! Imagine sitting on the large, comfortable, covered patio, enjoying a cold drink while watching the sun sink slowly below the ocean on the horizon. With 3 bedrooms in the main house and a separate 2-bedroom cabina, this home comfortably sleeps 12 people, so it is perfect for having family and friends visit, as well as vacation rental potential! The master bedroom, which includes a lovely ensuite bathroom and a walk-in closet, has French doors that open on to the deck of the pool and a window that showcases your ocean view. The custom-built ranch-style home has an open floor plan and vaulted ceilings, giving the 3000-square-foot home a light and spacious feel. The gourmet kitchen includes granite countertops, stainless steel appliances, and a breakfast bar on the large kitchen island. The living and dining area features bright windows and French doors opening on to the patio. With a dining room table for 10, it is perfect for dinner parties and entertaining! The separate 1100-square-foot cabina features 2 bedrooms, 1 bathroom, a living area, a full kitchen, and an outdoor patio. Great for guests, or it can be rented separately for an additional income stream! This .88-acre gated property is located in the beautiful Cinco Ventanas neighborhood in Phase 8 in Ojochal. 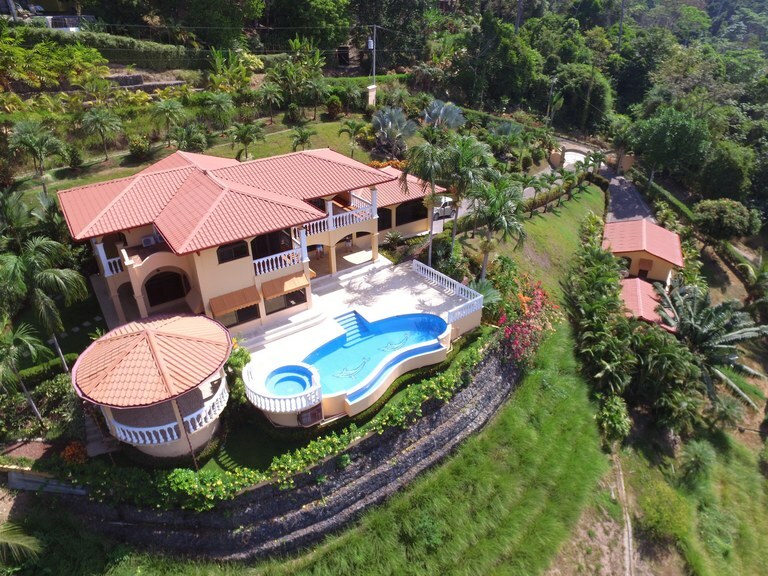 It is just a few minutes off the main highway on a well-groomed road, but you will feel like you are a world away in your own private paradise. The property is beautifully landscaped with flowers and palm trees and even includes a private waterfall with a swimming hole! Keep an eye out for monkeys in the trees around the house, and listen to the call of the toucans. Enjoy the view of the Three Sisters islands in the distance, part of the national marine park where humpback whales live nine months out of the year! You must see this stunning home in person to truly appreciate the gorgeous view. Don't waste any more time. Paradise is waiting! This 3 building Villa Estate is renowned for its luxury, both in design and function. 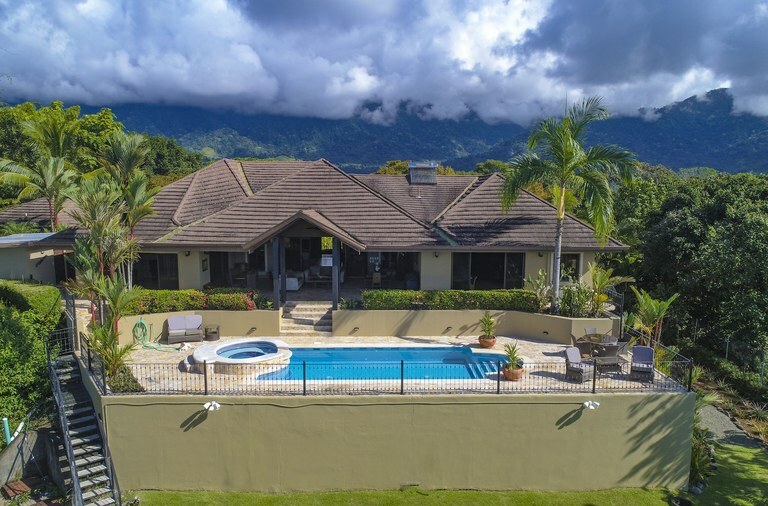 Situated on 36 acres of primary rainforest and located at the end of the road surrounded by over 200 acres of preserve, the privacy this compound provides is unsurpassed. The Main Villa rules over the estate with the class of an exotic country club. You are greeted by the vaulted mosaic barrel ceiling of the entryway, which leads you to the great room with its vaulted teak wood beam ceiling with chandelier. On the ground floor sits a sunken lounge area with handcrafted wooden bar, quiet reading nook, as well as indoor and outdoor dining areas. The professional kitchen is fully equipped with all appliances, granite counter tops and dehumidified pantry. A covered BBQ grill area is connected to the outdoor dining area. The second floor holds two rooms, currently used as a spa room and office, as well as a yoga pavilion and ocean view area. 3 bedrooms, 2 1/2 baths, located about 10 minutes above Uvita in the rim overlooking the Whales Tail. This is a gorgeous house that finished construction in March of 2017. When you enter the house, the large screen TV is on the wall to the left, and the interior dining area is just to the right. There are essentially 2 dining rooms in this house: 1 interior and 1 exterior. Ditto this for living rooms. Life happens out-doors in Costa Rica. 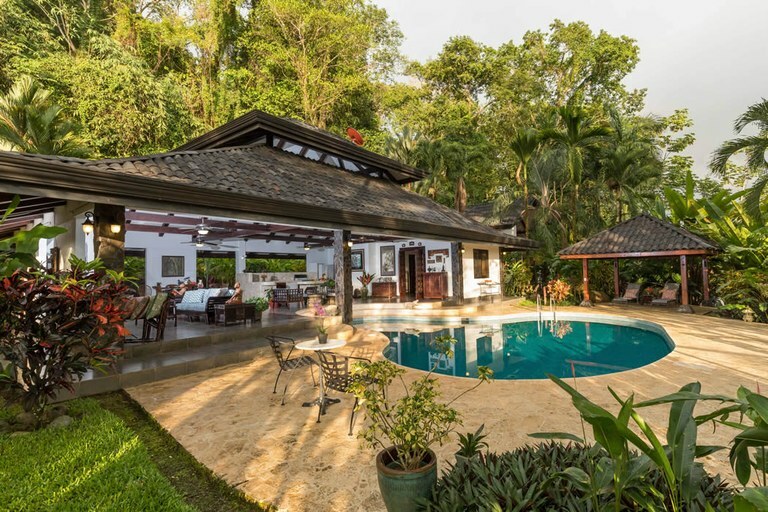 There may be times when you'll opt to hangout inside, and you can certainly do this due to the gorgeous living and dining room areas of the house, but for the most part, you'll want to do your dining and visiting with friends & family in the 24/7 perfect climate of Costa Rica. This is done in the outdoor dining area that features a gorgeous guanacaste wood table that is located just near the bar-b-cue and is in easy proximity to the pass-through window from the kitchen. And there is also the couch-defined outdoor living room with couches on 3 sides, looking over the pool and out to the ocean. 0.53 ACRES – Incredible Sunset Ocean View Property With Great Access!!!! : Priced to sell! This amazing ocean view lot is located in Las Olas, a very high end gated community that looks down on Playa Dominicalito. The lot is just 1 min off of the paved coastal highway and 2 min from the beach. It has it's own entrance off of the gravel road and a large building site. The ocean views from this property are as good as it gets. You can see the fishing boats in the bay, Punta Dominical, and white water views all the way to Manuel Antonio. The all year sunsets will leave you jaw on the ground. The seller is motivated and has priced this lot to sell. 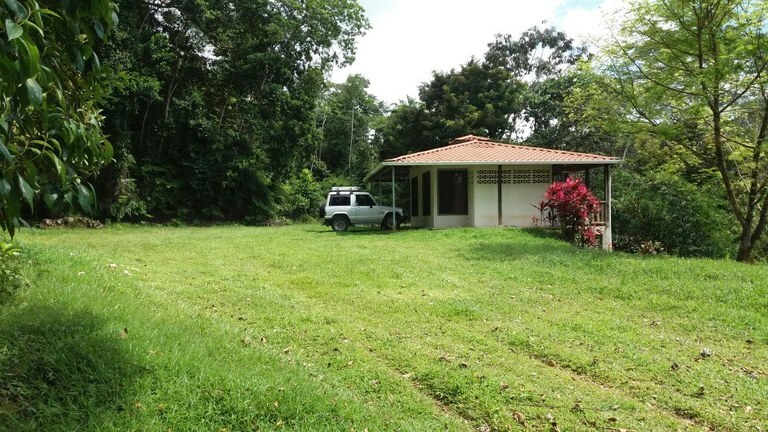 If you are looking to build your dream home on one of the best lots in Southern Costa Rica than look no further!!! !